Yvette Albidrez, left, and Julianne Reyes serve an eighth-grade student on the opening day of a dental clinic at Lynn Community Middle School. Students from Dona Ana Community College will staff the weekly clinic, where kid can get oral exams, cleanings and fluoride treatments. “It’s really fun. We get to interact with the kids. It’s a different environment," Albidrez said. 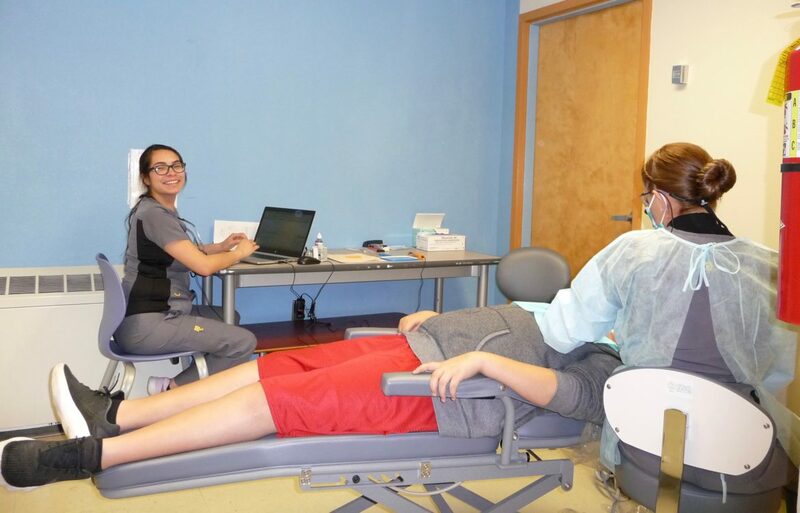 Elmer Gonzales, the dental hygiene program director at DACC, said his students will do a comprehensive oral screening, get a health history, and provide cleaning and fluoride treatments. If the children need more extensive dental care, they’ll be referred to a dentist. A grant from Delta Dental provided the equipment, and DACC is donating staff time including professors who will supervise the students. The clinic is the first of its kind at Las Cruces Public Schools. 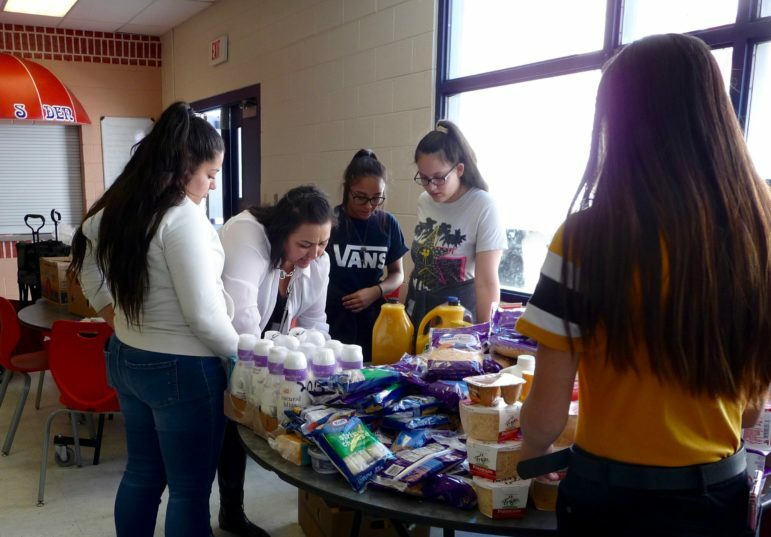 Lynn Community School Coordinator Sylvia Chavez, second from left, works with students to set up Lynn Middle School’s monthly food pantry for neighborhood residents. The students “shop” for community members, pack the food up and carry it to their customers’ cars. Storage facilities in the Permian Basin. Photo by Elizabeth Miller.